Disclosure: This is a press sample, all opinions are my own. The lovely maker of le Polish wanted to do a birthday type polish, but didn't want to have just any other birthday polish. Instead, the polish will be based off of Astrological signs! The first polish is based on Gemini and was inspired by the first photo here. The inspiration photo was voted on by members in the le Polish Facebook Group, which is a pretty good reason to join the group! 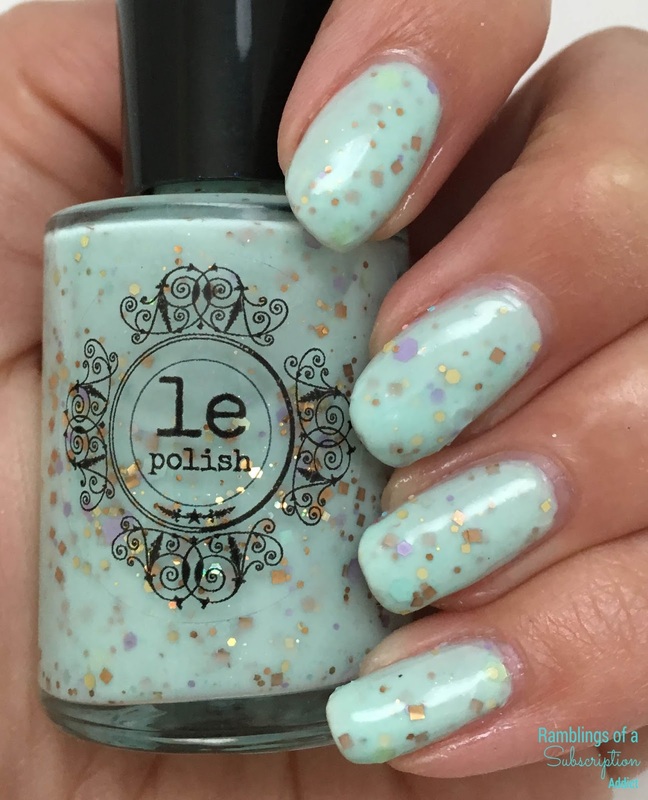 Important info: This polish releases on May 21st at 10am EST. 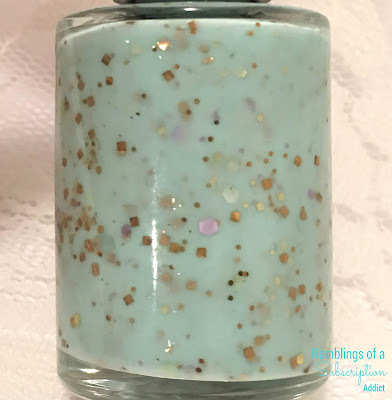 If you are on the birthday list in the Facebook Group and Gemini is your sign, you can get this polish free with a $10 purchase from le Polish. 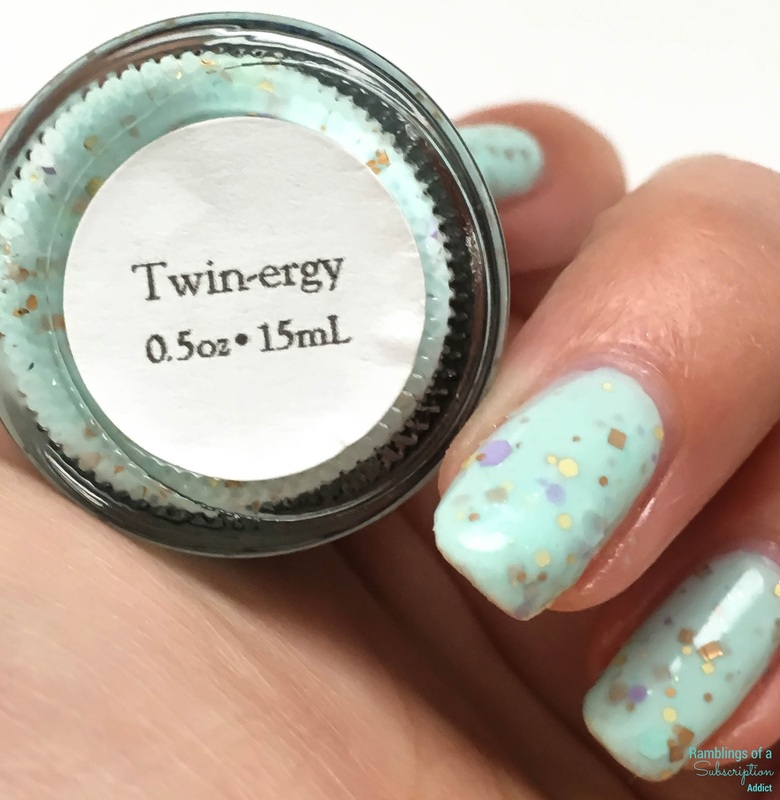 If it's not your sign, you can still get this polish for $10! 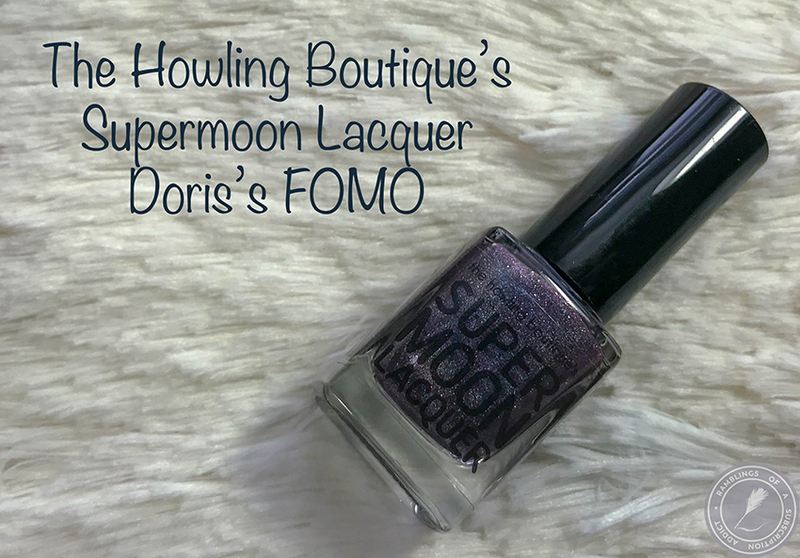 This polish is Limited Edition through June 20th, which is when the next sign will take over! Now time for the polish! Twin-ergy is a sky blue crelly with iridescent pastel and metallic caramel glitters. 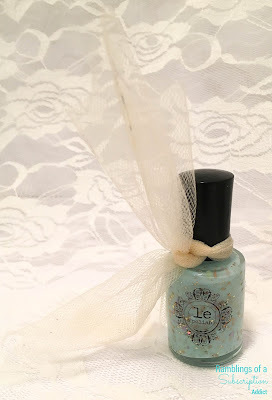 Mine came wrapped and tied with this lace, so I thought it would be a cute addition to the bottle for this picture! Twin-ergy is such a unique polish, such a fun polish! I definitely see where the polish came from the inspiration and love it! 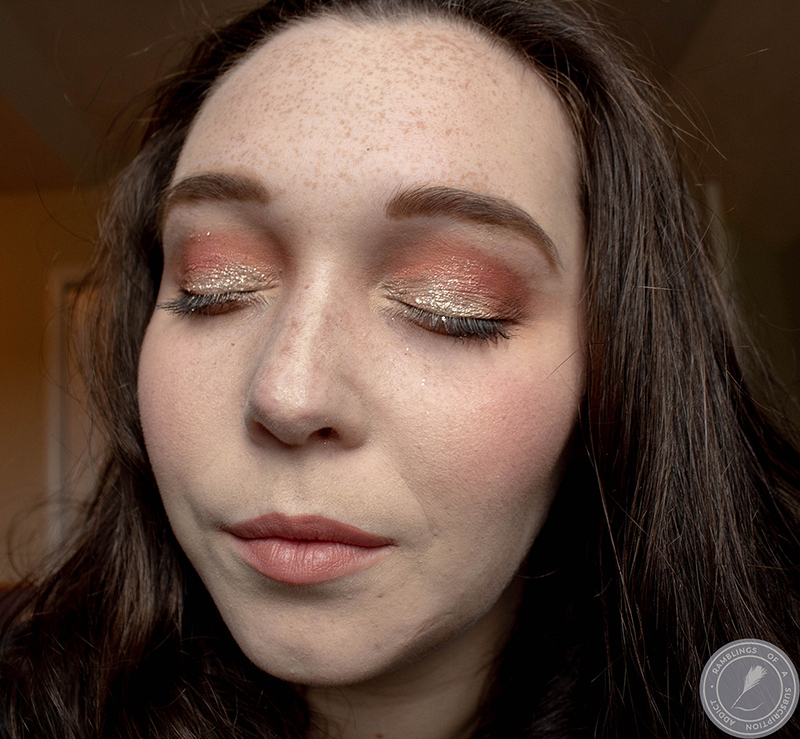 The base is quite possibly one of my favorite colors ever (like seriously, I could wear this color in every kind of finish forever) and I love all of the glitters added. 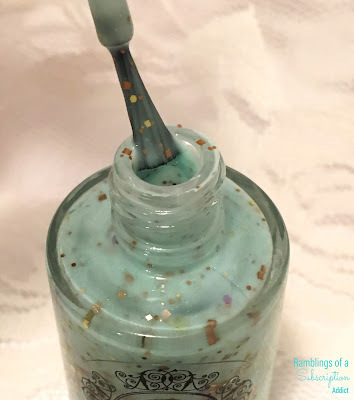 I used two coats of Twin-ergy and added a single coat of glossy top coat for shine!